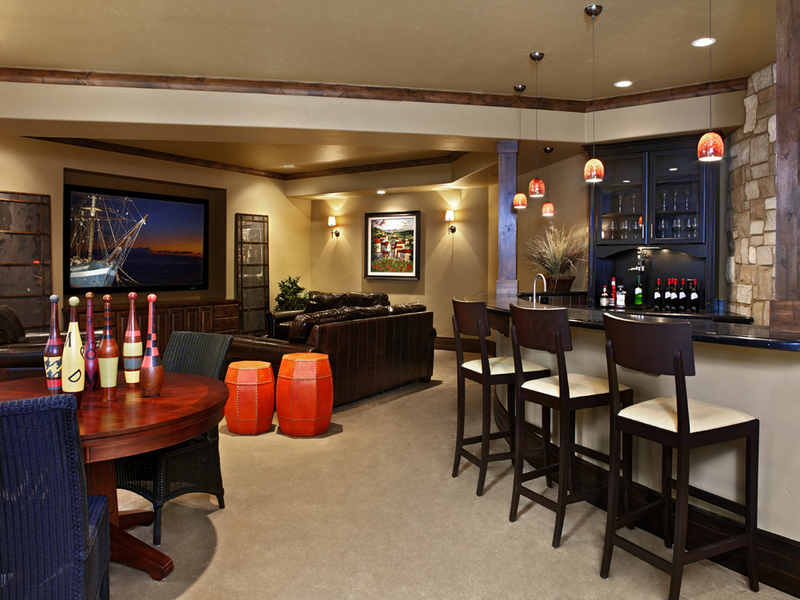 This home was designed as Element Custom Builder's 2008 entry in the Parade of Homes in Lakewood, Colorado, where it won nine awards. The architecture was driven by the desire of the neighborhood (Solterra) to create the look and feel of a Mediterranean hillside town. The Tuscan style was an appropriate choice to contribute to that aesthetic, and was easily adaptable to the materials and lifestyles common to Colorado. The home is designed with a highly traditional old world core at the front entry and great room; then quickly transitions to more contemporary and less formal areas to either side of that center. The detailing enables the house to solidly claim its historic style, but respect the modern materials and lifestyle used to create it. The effect is a timeless design that appeals to most anyone who passes through it.